The new school year is just around the corner. So while you stock up on school supplies and cool new clothes, you can also prep your hairstyle. 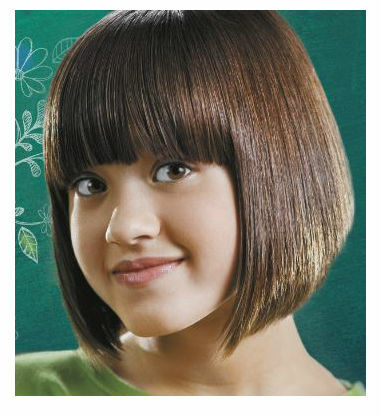 It's a new school year, so why not get a fresh new look? Plus, with all the fun in the sun you've been having all summer, you may need some extra TLC for your tresses. Our service value packages and promotions will have you turning heads in the hallways and looking smart! Start the school year off right with our Style Express value package. Our package is ideal for all hair types and is perfect summer hair rehab! With Style Express, you'll enjoy a relaxing shampoo, a customized Redken treatment based on your hair needs/type, a haircut and blow dry. Or try our Straighten up value package. Our service includes a relaxer/straightener touch-up followed by a shampoo, a customized Redken treatment, cut, blow dry straightening and iron set. Make your own statement with a pop of fun color! Ask your Hair Cuttery stylist about Splashlights. This color trend allows you and your stylist to choose where to add color. So go bold and show your individuality with your favorite color! All our value packages include $3.00 off any regular priced hair product with a minimum of $5 purchase. Or if you'd like to stock up for the fall semester, take advantage of our Buy One, Get One 50% off sale featuring many of your favorite hair care and styling products. Hurry, offer ends 8/18, so head over to your local Hair Cuttery. We'll help you get ready for back to school so you can relax and enjoy the rest of summer!